Arlington Heights Handyman Services – Let Us Do It For You! Handymen & Mrs. Helper provides all the handyman services you need to get your Arlington Heights home in prime condition. Cabinet Work, Door Installation, Drywall Repair, Painting, Home Remodeling, and much more – Our trustworthy HANDYMEN will fix, repair and improve your home and property beyond your expectations. 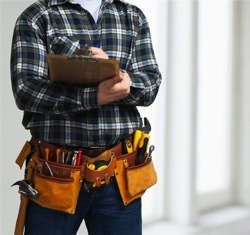 We provide a wide range of professional home repair and handyman services in the Arlington Heights area. Handymen & Mrs. Helper employs a team of highly skilled and experienced handymen. When you choose one of our HANDYMEN, rest assured that the job will be done right. We can help save you time and make it easy for you to use our home maintenance services. Get in touch with HMMH today and let our team complete those jobs you don’t have time for and our Arlington Heights Handymen will do it for you. Home Remodeling, Kitchens & Bathrooms, Flooring, Interior & Exterior Home Improvements, and more – we are your local handyman that can help save you time, while also increasing your property value. Check out the list below of commonly requested home repair services that we offer.